These are default hotkeys for Dota 2. For other templates, take look at the link in the source. Order selected units to move to a location but attack any enemy within acquisition range, or force-attack an allied unit if it is denyable. Clicking this hotkey opens the Talent tree popup. A talent can then be leveled by pressing 1 or 2 (for left or right talent), or by clicking on the talent. Interrupts selected units' current action. Activates the Glyph of Fortification to make the team's structures invulnerable for 5 seconds. Cycles between the set control groups, or between selected units. When holding CTRL, cycles in reverse order. Selects the 1st preset control group of units. Selects the 2nd preset control group of units. Selects the 3rd preset control group of units. Selects the 4th preset control group of units. Selects the 5th preset control group of units. Selects the 6th preset control group of units. Selects the 7th preset control group of units. Selects the 8th preset control group of units. Selects the 9th preset control group of units. Selects the 10th preset control group of units. Pauses and unpauses a game in progress. Takes a screenshot of the current game view. Opens and closes the Console. Moves camera to the left. Moves camera to the right. Jumps the camera to a recent event (hero death, tower death, etc). Enters a view up-close to the selected unit. Opens chat window to send a message to everyone in your team. When held, enables voice chat to speak to teammates in the current match. When held, opens the chat wheel, allowing to communicate commonly used phrases. 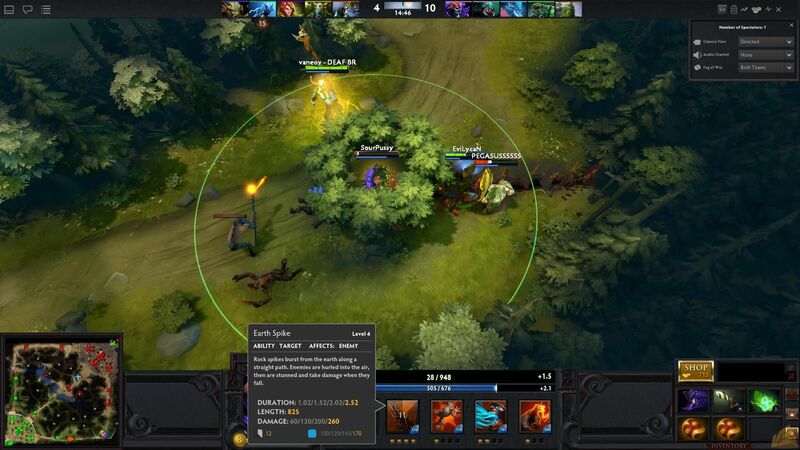 Dota 2 is a free-to-play multiplayer online battle arena (MOBA) game developed and published by Valve. Dota 2 is played in matches between two teams of five players. Each team occupes and defends their own separate base on the map. Select / use 1st ability. What is your favorite Dota 2 hotkey? Do you have any useful tips for program? Let other users know below.